Below we have listed the winners, video and photos from the 2011 event. 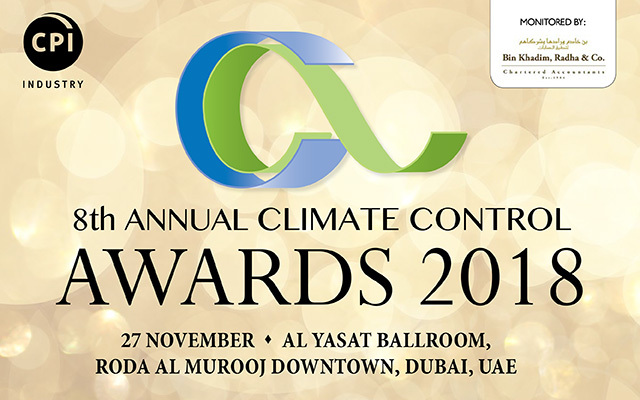 The 8th edition of the Climate Control Awards will take place in November of 2018, in Dubai, UAE. 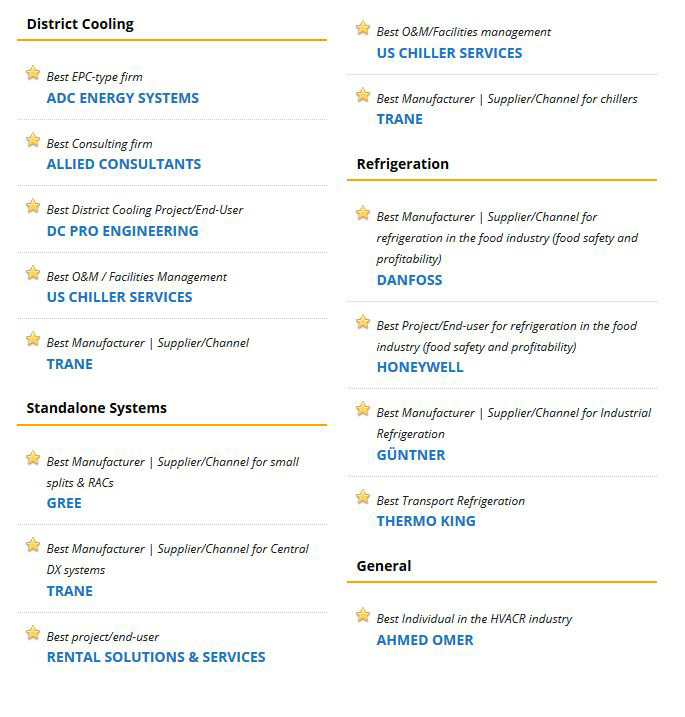 The traditional objectives of the Awards are to recognise and honour HVACR and allied organisations and personalities that show a strong commitment to socio-economic development and sustainable development goals, as applicable to the Middle East region, and are able to provide tangible evidence of their initiatives, best practices and exertions. Copyright © 2018, CPI Industry, Dubai, UAE. All rights reserved.